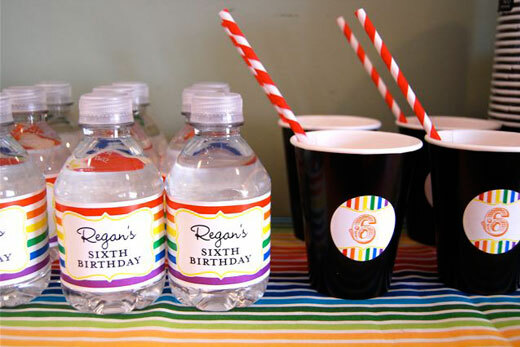 Rainbow party: Regan is 6! 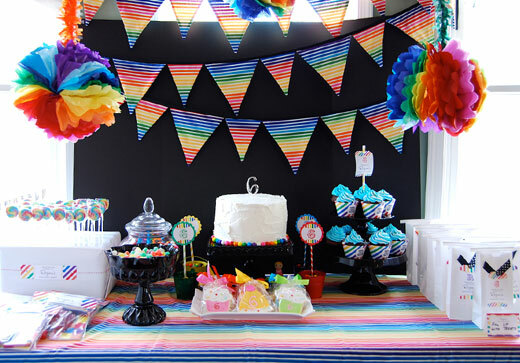 The black backdrop – simply foamcore, purchased at Staples – sets off all the colors and the bright white cake. Jen put stickers onto scallop-punched paper, then glued the circles onto striped straws. 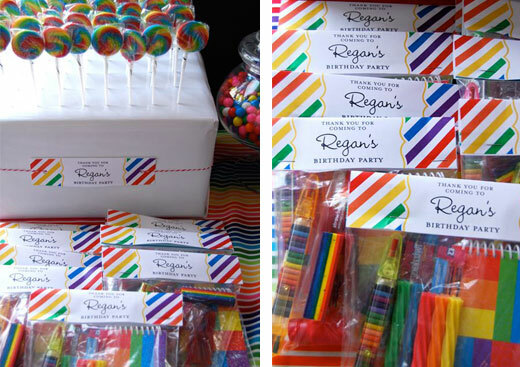 They’re just adorable stuck into mini buckets filled with gumballs. 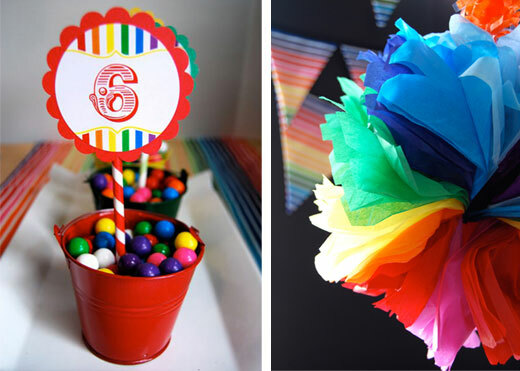 And, Jen made her own tissue paper poms. 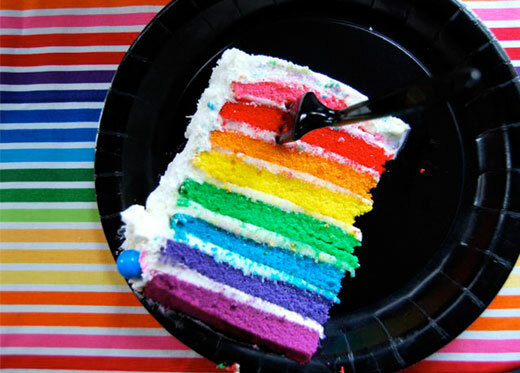 Pretty darn crafty! 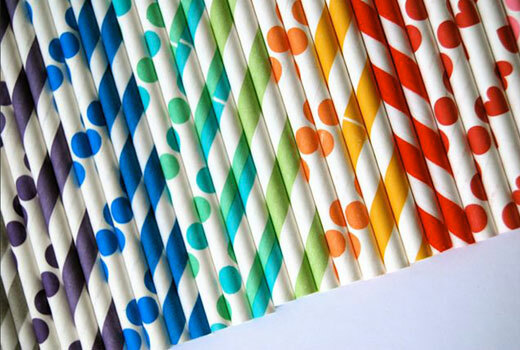 Paper straws in every color – all from The Cupcake Social. I also love the new idea for a favor tag – stuck on a straw! Super clever. 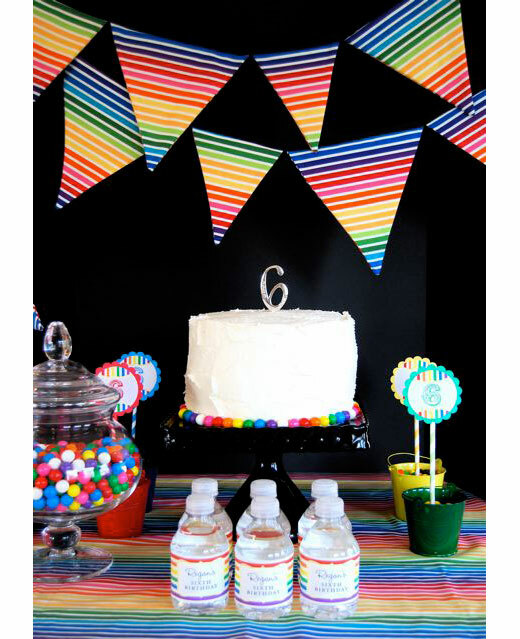 The fabric banner than Jen made for Regan’s party is now available by custom order in her Etsy shop! 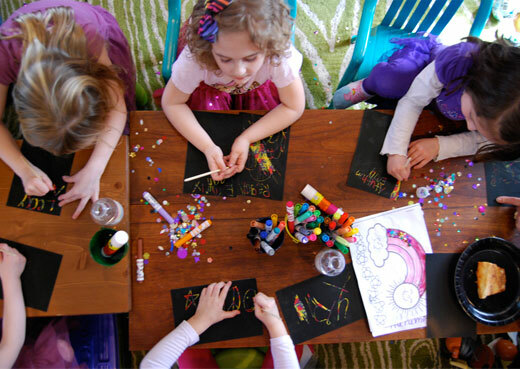 The children had fun doing sand art, rainbow scratch art, and coloring pages. 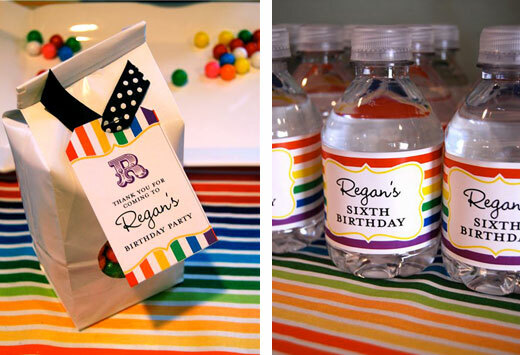 Goodie bags include rainbow crayons from Oriental Trading, and are topped with a treat bag label. 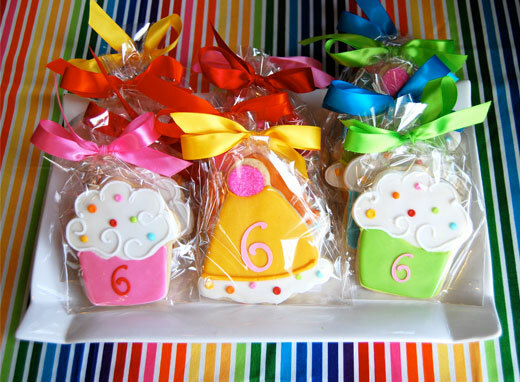 Beautiful cookies by TS Cookies are a perfect take-home treat at the end of the party. Thank you so much, Jen!! 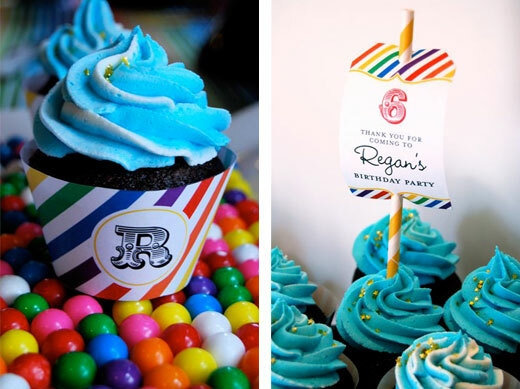 Happy birthday Regan! 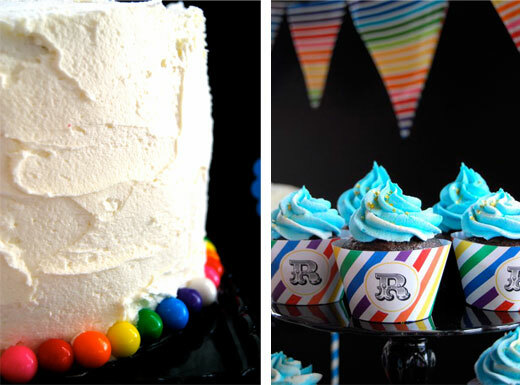 This party is also featured on Birthday Girl/Cake, The Cupcake Social Blog, iVillage and Pearls for Paper.